Stacie Harper has been chosen as the new CEO for the Spokane Club, making her the first woman to hold the top management position in the Club's 126-year history. Following an extensive national search, 50 candidates were vetted for the CEO position. After interviewing and evaluating the top candidates, the Spokane Club's Board of Trustees unanimously selected Harper to lead the city club. Harper's dynamic leadership style, strong hospitality background and proven sales and marketing expertise were all key factors in the selection. Most recently, as the former Director of Global Sales-West Coast for Choice Hotels International, Harper had the revenue responsibility of $250M with a 12% year-over-year growth from 2014-2015. Prior to that position, Harper served as VP of Sales and Catering for Red Lion Hotels Corporation in Spokane and was also Red Lion's National Director of Sales. Earlier positions included Director of Sales and Marketing for Doubletree Hotel in Spokane. Harper, a strong proponent of community service, has served on the Board of Directors for Future Business Leaders of America and volunteered at Second Harvest Food Bank, Make a Wish Foundation and the YMCA. 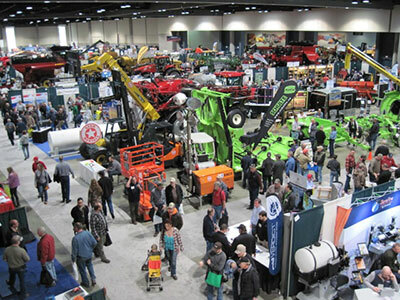 The 39th Annual Spokane Ag Expo and 61st Pacific NW Farm Forum opens this Tuesday and Wednesday, February 2 & 3, from 9am to 5pm and Thursday, February 4 from 9am to 3pm. Once again, big farm equipment and agricultural services will fill the Spokane Convention Center's 120,000 square feet. Attendance is expected to be around 6000 farmers, ranchers and their families for viewing the 300 exhibits and attending many of the 36 seminars hosted by Pacific NW Farm Forum in the meeting rooms and International Ballroom in the newly completed center. Dr. Art Douglas will again provide the weather forecast for the Northwest for the rest of this year, Randy Fortenbery, from the WSU, Department of Economic Sciences will review the agricultural economic outlook and to top it off, the You Tube sensations from the mid-West, the Peterson Farm Brothers, will present their program on Modern Farm Life through their musical parodies. Tickets are $12 at the door and are good for all three days. Free parking is available at the Spokane Arena parking lot with free shuttle buses to and from the convention center. For more information, visit www.visitspokane.com/agexpo. Wonder what's coming to Wonder's of the World? The buyers for Spokane's most unique store are back from their biggest buying trip of the year with lots of new treasures. Stop by the Flour Mill at 621 Mallon this week and see. The hours are Mon-Fri 9am-8pm, Saturday 10am-6pm and Sunday 12pm-5pm. 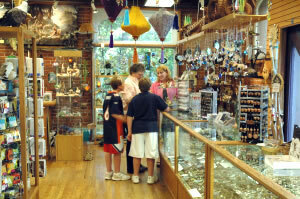 The phone numbers are Import Shop: 509-328-6890, Bead Shop: 509-325-2867 and the website is wondersoftheworldinc.com. 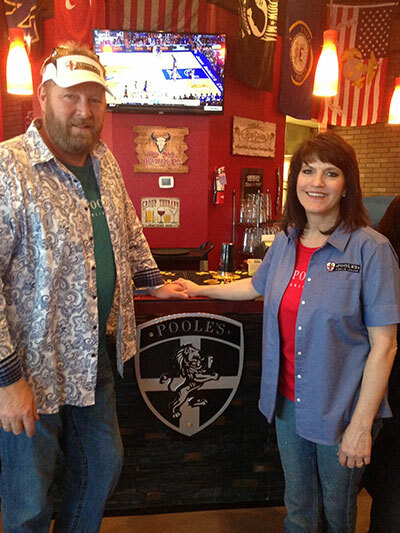 Poole's Public House opened their 2nd location at 5620 S. Regal Street, and it is fantastic! The restaurant/sports bar, owned by Scott and Lisa Poole, features the same pub/comfort food their Northside patrons have grown to love over the years. Scott previously managed the Q restaurant at Northern Quest, so he brings years of experience managing a sports restaurant and bar. 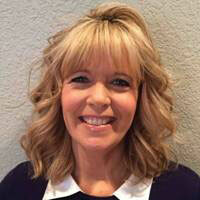 Lisa has worked in the advertising and marketing business her entire professional career. Scott and Lisa are both University of Montana alumni and Scott played football for the Griz, so don't be surprised by the amount of Griz stuff in the pub or the airing of Montana football on the multiple TVs. Poole's is open for breakfast (Saturday and Sunday), lunch, dinner and drinks. The menu can be described as American (Traditional), but it's a full menu, not just typical pub food. Hours are Monday through Friday 11am to close and Saturday and Sunday 8am to close. You can get more information and check out their great menu at poolespublichouse.com. The phone number is 509-368-9760. 24 Taps Burgers & Brews, formerly Heroes & Legends and Sergio's Mexican Sports Grill, at Riverside and Lincoln has announced a major expansion, adding 2,000 square-feet of space to the already 4,000 square-foot restaurant. The expansion will include a banquet room called the Empire Club, named for the exclusive business leaders club that used to be atop the Lincoln Building, where the plans for Expo 74 were developed in the early 70's. They are also changing the entrance to the Lincoln side of the building, 24 N. Lincoln. 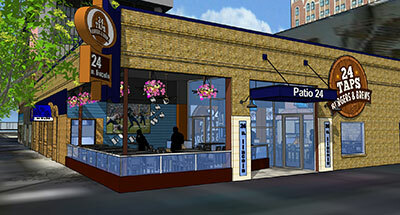 Get more information, including photos and menus at 24taps.com and on Facebook. Associated Industries of the Inland Northwest has announced its newly appointed Chairman of the Board and the slate of officers for 2016. For more information on Associated Industries go to aiin.com. The Spokane Boat Show, sponsored by the Spokane Yacht Club, is in its 62nd year this year and is open at the Spokane County Fair and Expo Center for 8 full days running through Saturday, February 6. See hundreds of boats of all sizes, in approximately 150,000 square-feet in 9 buildings. There will be drawings for cruises, boat rentals, holiday trips and more. They also have boat accessories such as docks, apparel and paddle boards, as well as boating safety classes. Go to spokaneboatshow.com for all the details. The Vanessa Behan Crisis Nursery and Red Robin Gourmet Burgers, Inc. (Red Robin) will kick off the week-long 16th annual 'Burgers With A Heart' fundraiser today to raise funds for the Vanessa Behan Crisis Nursery, a safe haven for Spokane-area children who are at risk of abuse and neglect. From February 1-7, Spokane-area Red Robin restaurants, including Coeur d'Alene, will donate 50 cents from every gourmet burger sold to the Crisis Nursery. Local celebrities along with local high school students will assist Red Robin in raising additional funds for the Crisis Nursery by selling paper hearts for $1 to Red Robin guests during the fundraiser. 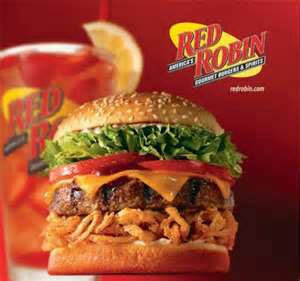 Last year alone, Red Robin raised more than $13,500 to support at-risk children in the Inland Northwest. Red Robin serves more than two dozen high-quality gourmet burgers in a variety of recipes along with appetizers, entrees, salads and signature beverages. Elaine Couture, R.N., chief executive of Providence Health Care, is 2016 chair-elect of the American Hospital Associations (AHA) Section for Metropolitan Hospitals. Couture will assume the role of chairperson in 2017. The section is a forum for suburban and urban hospitals throughout the country to discuss common interests and concerns and to participate in the AHA policy process. The Metropolitan governing council advises the AHA on federal policy issues. As the chief executive of Providence Health Care, Couture oversees a health system that employees nearly 7,000 employees in Spokane and Stevens counties. Its system includes Providence Sacred Heart Medical Center & Children's Hospital and Providence Holy Family Hospital- both nationally recognized for quality care, as well as two critical access hospitals in Colville and Chewelah. It also includes a full continuum of services - Providence Medical Park in Spokane Valley, three urgent care centers, home health, assisted living, adult day health and skilled nursing care. Providence Medical Group of Eastern Washington includes 700 physicians and advanced practitioners. Its medical staff includes primary care providers, surgical subspecialists and medical specialists. Couture has been in health care for her entire career, first as a bedside nurse and nurse manager, as a chief nursing officer, and as chief executive for Providence Sacred Heart Medical Center & Children's Hospital and Providence Holy Family Hospital. She has been chief executive of Providence Health Care since 2013. For more information, visit www.phc.org. The 2016 Race for the Cure Registration is now open. 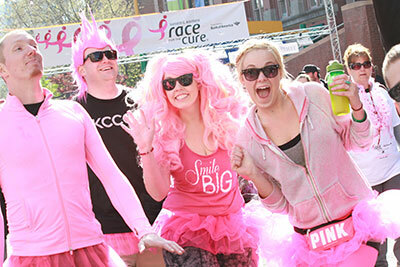 Join in on the fun and support the Komen EWA mission at the same time. Komen's mission: to save lives and end breast cancer forever by empowering people, ensuring quality care for all and energizing science to find the cure! The Race is April 17 but you can register now at www.komeneasternwashington.org. Voting on now for the Inlander's Best of the Inland NW! It's that time of year when the Inlander celebrates the Best Of the Inland Northwest. Our region's largest and most popular readers poll kicks off with the ballot published online at www.inlander.com/bestof and in the January 28 issue of the Inlander. Voting closes at midnight on 2/18/16. Winners will be announced in the March 24 issue of the Inlander. 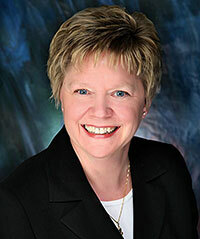 Diane Kiepe has been promoted to principal at the law firm of Douglas, Eden, Phillips, DeRuyter & Stanyer PS. Kiepe was formerly an associate at the firm. Her practice includes wills, trusts, probate, and tax. Erik Kukuk has joined the law firm as an associate attorney. 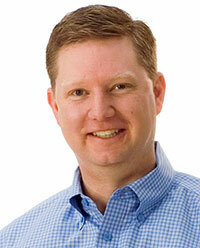 His practice includes corporate transactions, securities, and real estate. John Eckert, AIA, has been named President of the American Institute of Architects (AIA) Washington Council, and is serving a one-year term in 2016. The American Institute of Architects Washington Council is a professional society comprised of registered architects in the State of Washington. The AIA|WA is a State arm of the AIA and is focused primarily on policy and politics. As President of AIA|WA Council he serves on the Executive Committee and is Co-Chair for the 2016 AIA Civic Design Awards. John Eckert is an Associate Principal in NAC Architecture's Spokane office with a firm-wide staff of over 150 people with offices located in Seattle and Los Angeles. He has over 21 years of experience working on a wide array of project types with the last decade focusing on health care. John has a Bachelor's of Architecture from the University of Idaho and is a licensed architect in Washington, Idaho, and Minnesota along with a NCARB Certification. With origins in 1960, NAC Architecture specializes in planning, design, engineering, and capital facilities consulting services. Through a network of offices in the western United States, the firm's 150 professionals create sustainable environments for learning, healing and human development. For more information, visit www.nacarchitecture.com. River Linguistics, Inc. , a language services provider, has been granted official certification to participate in the US Small Business Administration’s (SBA) 8(a) Business Development Program. A member of Greater Spokane Incorporated since 2014, River Linguistics is a Native American, woman-owned small business, offering global operations support to businesses and US Government agencies by providing translation, interpreting, multimedia and process management consulting services. The 8(a) certification enhances the company’s existing arsenal of federal certifications, which includes the HUB (Historically Underutilized Business) Zone certification and third party Economically Disadvantaged Woman Owned Small Business (EDWOSB) certification obtained in 2015. Awarded by the US Small Business Administration, the 8(a) Business Development Program helps small, disadvantaged businesses to compete for federal contracts that have been set aside for private sector industries. The program provides assistance over a span of nine years, and will assign a Business Development Specialist to work closely with River Linguistics on implementation of its business plan and strategy in pursuing those contracts. Benefits also include but are not limited to marketing, counseling, and access to specialized financial assistance and solesource contracts. River Linguistics will be able to bid on contracts in cooperation with other businesses or as a standalone prime contractor. Located in Spokane's downtown core, River Linguistics, Inc., brings twenty years of localization industry experience to the region, providing an array of language services to local clients. For more information, visit riverlinguistics.com. "The difference between the impossible and the possible lies in your determination."